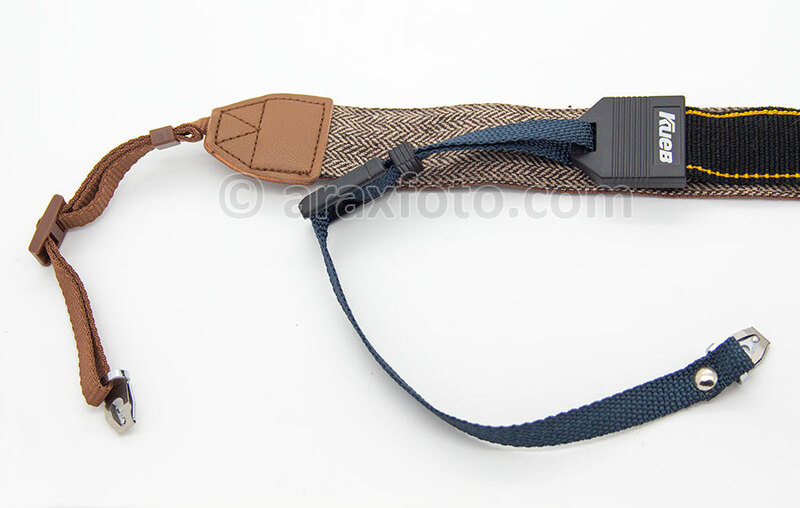 Easy to attach, fully adjustable, non slip wide strap, quick disconnects. Comes with metal clips and wide belt. It is easy fixed onto the camera body. And can be fitted to the appropriate length. You should fit it properly. Sometime using some force. The fuse should snap for safe and secure holding. 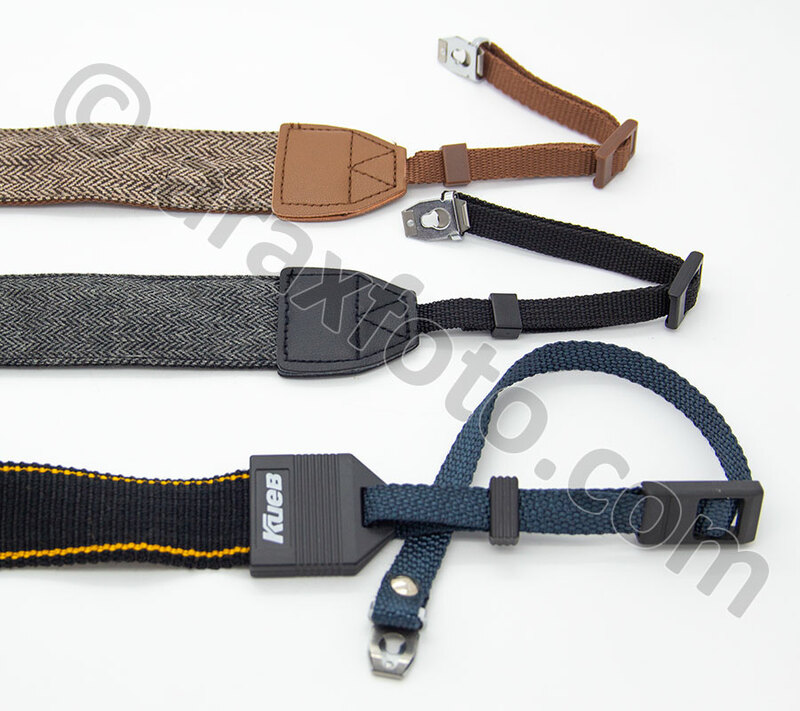 There is a black, grey and brown straps. The black, with KIEV inscription is shorter and narrower than the others. Please make your selection during the order process. Pin hole diameter: 6 mm/0.24"
Main Belt Length: approx. 70cm/27.55"
Type-1. 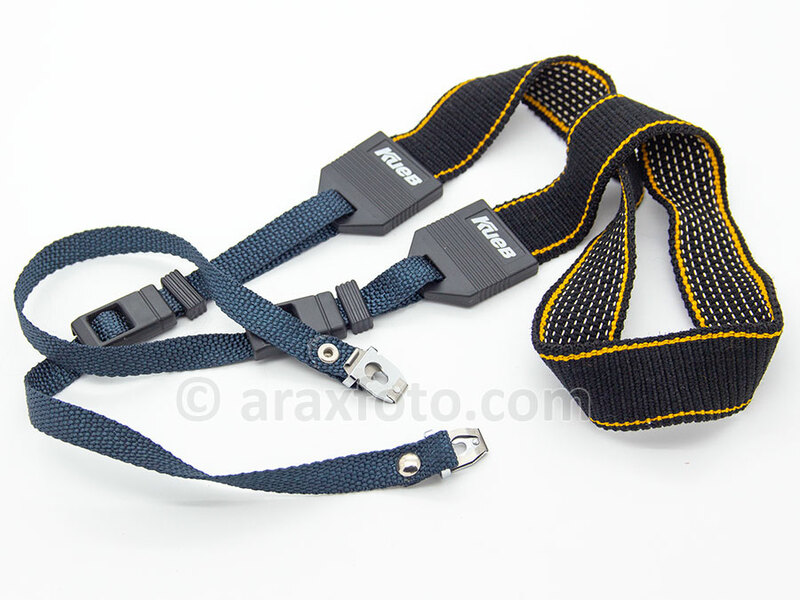 Black/Yellow camera strap with KIEV inscription. Type-2. 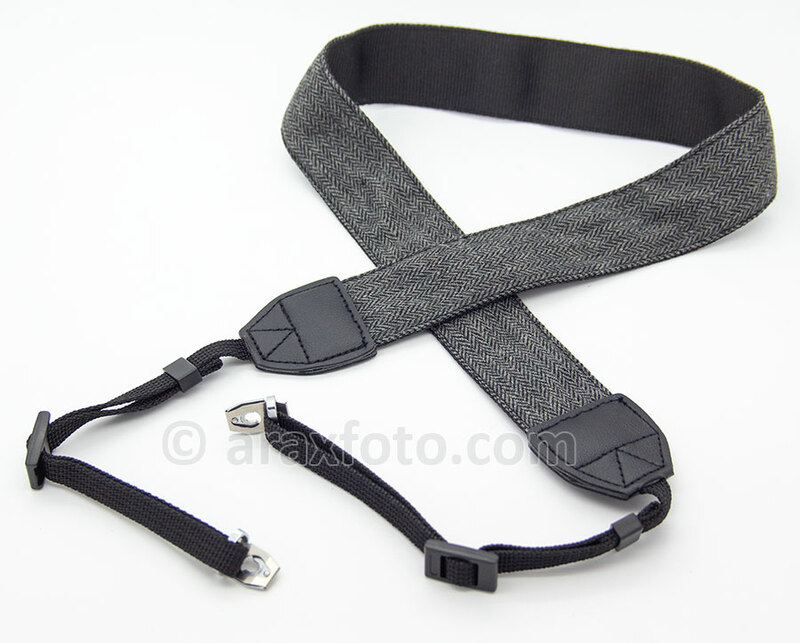 Grey camera strap for Arax/Kiev medium format camera. Type-3. 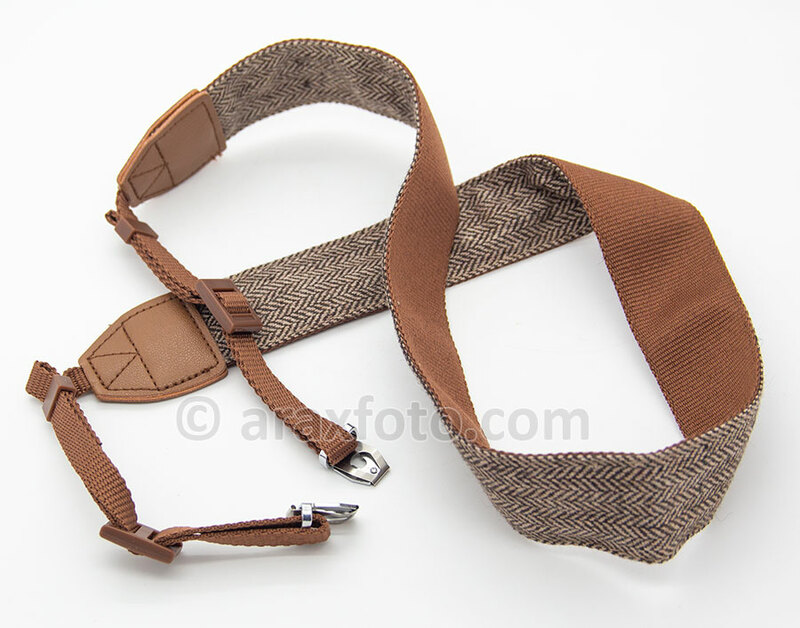 Brown camera strap for Arax/Kiev medium format camera. Face side of neck straps. Rear side of neck straps. 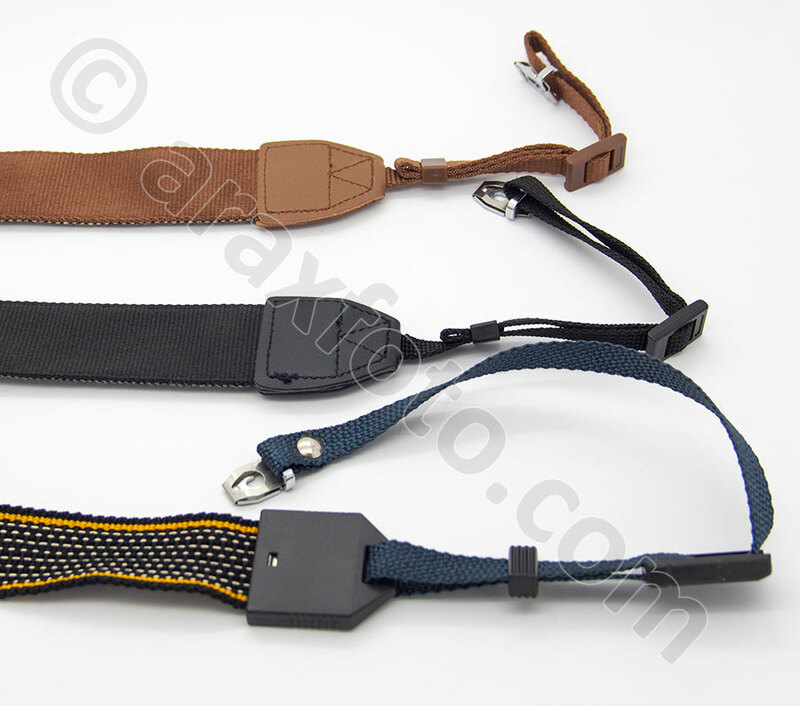 Size comparison of neck/shoulder straps.